​My 3D model art portfolio. This basic item features voxel models made in MagicaVoxel, but it also includes some other kinds of model formats to be used in other programs. This model was created as a showcase of my 3D skills. At the time, I was trying to make my first 3D model, but failed so many times before until I completed this one. This was probably the turning point for me in trying to say I've successfully created a 3D model after almost 15-20 years of trying but coming up short. To make this even sweeter for me, I even made this as my first-ever successful render using the Cycles Renderer in Blender. After trying to learn how to 3D model, I tried my best to make a model from start to finish using Blender. This is also the first Cycles Render I completed in Blender. 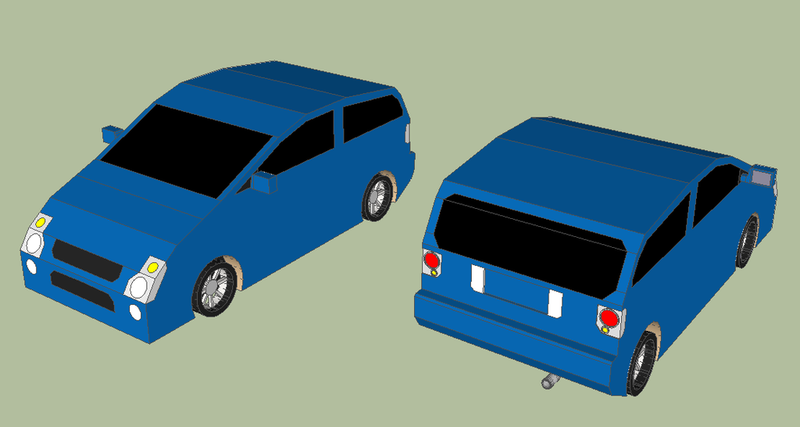 This was a car I created through SketchUp. SketchUp is great for creating models easily; however, it can be an absolute nightmare geometry-wise. Expect to clean up your models if you plan on making them available for more practical 3D applications (like gaming). While SketchUp was good for what it was, I felt I needed a more solid modeler. Maybe a modeler that gives me maybe not the huge toolbox of items for media, but something that could give me some new confidence in making models. I found that program in the form of maybe the most underrated 3D modeler today- Wings3D. What struck me most about Wings3D is how easy it is to learn how to model with. You may not be able right away to model something seriously detailed, but I found Wings3D to have a learning curve a bit greater than SketchUp, but tremendously less than Blender. I started to make models such as the sword above this paragraph. 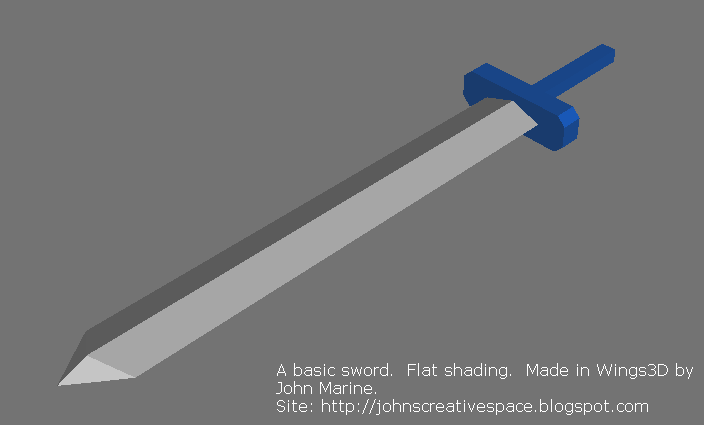 I would later modify this sword and add some extra triangles to the geometry of the sword, especially at the blade. 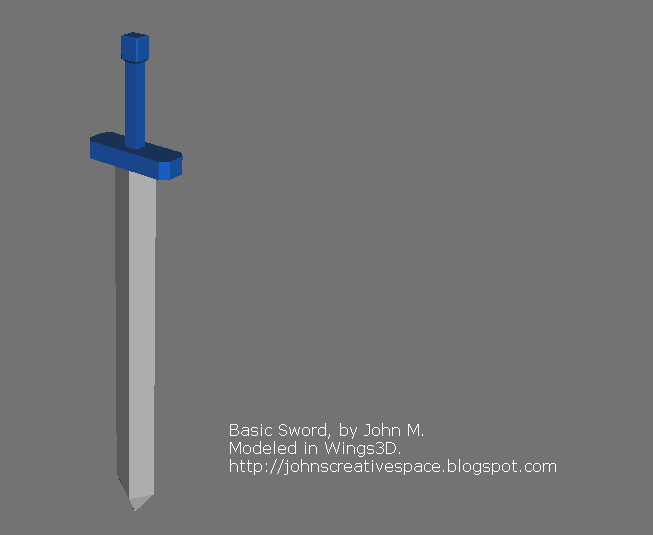 This was the original sword I created using Wings3D. This was the modified version of the original sword I created. The only notable difference is the hilt design. The blade had more triangles in its design. 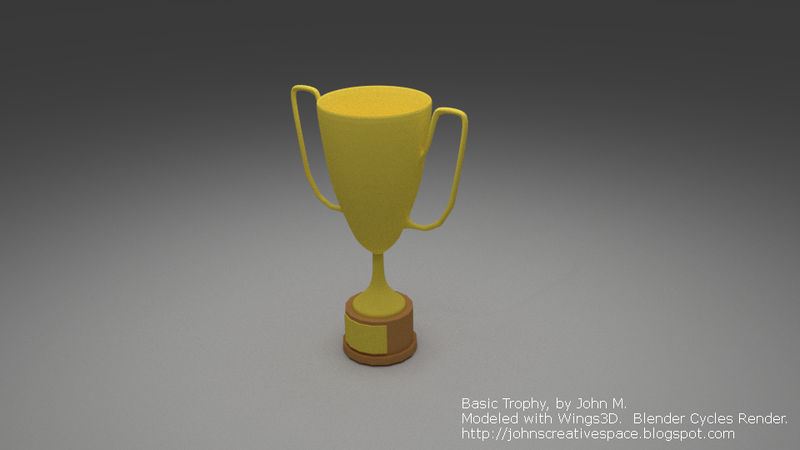 After making one trophy through Blender, I took my skills to Wings3D to make this trophy. The Car... I Didn't Know I Was Making! This is a strange story. See the car above this text? This was supposed to be me practicing making a cartoon-style car. What ended up happening was me turning that toon car into this sports car! I got so indulged in trying to model a toon car that I eventually started trying to model this sports car. 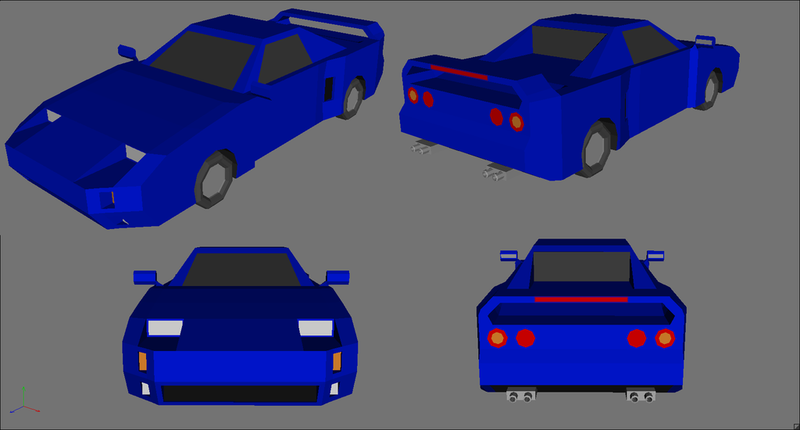 Previously, I have never been successful modeling a sports car in 3D. This one here is not a finalized model (believe it or not). I may work on it a bit more and maybe offer it for download/sale. For now, this is merely a weird circumstance where you make something other than what you intended to make or were supposed to make. In a sense, this is like LEGO blocks- you buy a LEGO set to try to make whatever the box contains, but you don't have to build what the set is supposed to be. There were LEGO sets I have bought before that includes instructions on how to build other things. So you are not just limited to what you are supposed to make. That is the beauty of creativity. ​Anyhow, this sports car probably should have never materialized... but it did. This was one of my first attempts at creating any kind of 3D character. Making characters is a tricky task. It can be a simple task to make an inanimate character for a scene or for a render. However, I always felt bringing characters to life and making them realistic is more special than making a static character. I feel there is more worth in such characters than static models. This hasn't been the base of my issues in making characters, though. Still in my limited experience with 3D models is trying to model hands and heads. This, more than anything, is why I have struggled to make proper characters. Anyone who has successfully modeled characters has mastered the use of making many edge loops and such to model out eyes, the nose, the mouth, and other features of head modeling. Those who have made hand models have made precise modeling to model out the fingers and thumb. I haven't had much success modeling out these things. On top of that, I mostly am not overly concerned with details. I tend to try to be detailed without being overly detailed. 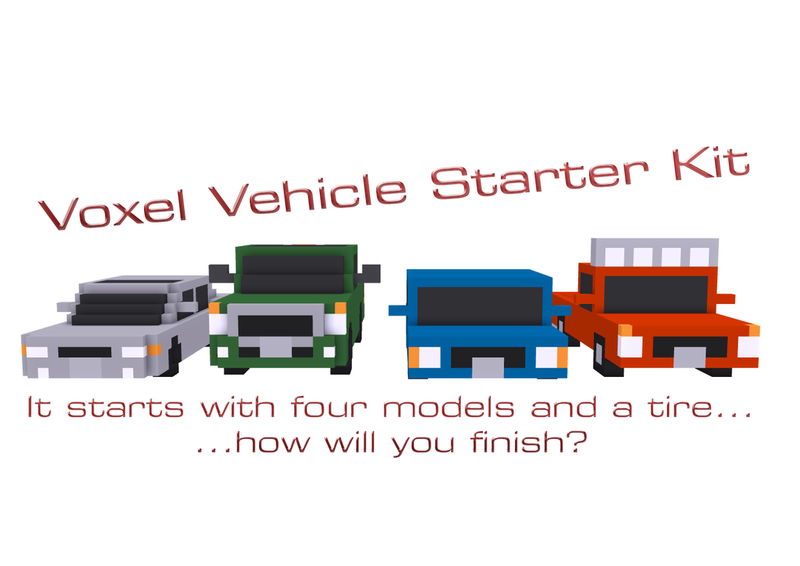 I am careful with my characters as I have been when I was making voxel models of my vehicles. So what about my work-in-progress character? He is one of a few different original characters I have come up with. A good bit of the rough geometry was somewhat inspired by the in-game characters of Final Fantasy 7. The use of implementing materials with the colors has me interested in trying to UV map the model accordingly. Wings3D allows you to color parts of your model any way you like. That is what I have been doing for the longest. However, you can also use those same colors to map out parts of your model when UV mapping. So if you paint one part of your model blue and another in yellow, you can select those blue or yellow colors to specify what you want to UV map with. You can then specify the layout for which you want the UV mapping to be done with. With this model, I am leaning towards UV mapping this character's shorts. Maybe I plan on UV mapping his boots also. 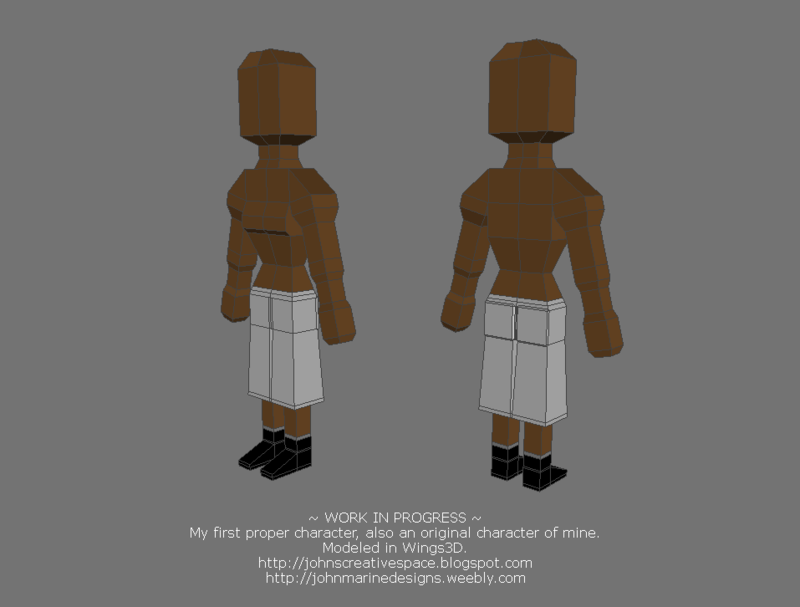 If I'm good enough, I may even just consider UV mapping his body and his head. I mostly like making human models. Despite this, I have had interest in some animal models and maybe some fantasy creatures. This is still a fine start in making any kind of character. This is a more concentrated effort towards modeling a proper human. I did not care about proper human dimensions and features here. After learning some new 3D modeling techniques, it was best to try to apply them into my work. After all, you can not become any kind of master if you do not practice your techniques. So I tried my hand at making a 3D human model. I did not care about accurate proportions; all I wanted to do was make a fairly decent human model. The model was somewhat supposed to be a female model. What you see is the work of going from a rough model to something fairly decent upon shading and subdividing. In somewhat of an interesting twist, I decided to work with an A-Pose for my human model as opposed to a T-Pose. I had animation/rigging in mind when I came up with trying to model this human. I would prefer a T-Pose because it would be easier for me to set up when building an armature for it. I was trying to divide the model in half until I realize I didn't have a line on the head. Not having that connected edge prevented me previously from being able to Loop Cut the model to divide it in half in Wings3D. • The model on the far left is the rough model. While the rough model is sort of fine on its own, I felt for better definition of the crotch, buttocks, and chest, I needed to apply an edge loop down the center of the torso. I then beveled that center line and added another edge loop at the center of the torso. • The center left image is of the smooth shading preview of my rough model. This gives you a preview of what the model will look like if/when you subdivide it and apply smooth shading. • The center right image is the model actually subdivided. Just one level of subdivision was applied. 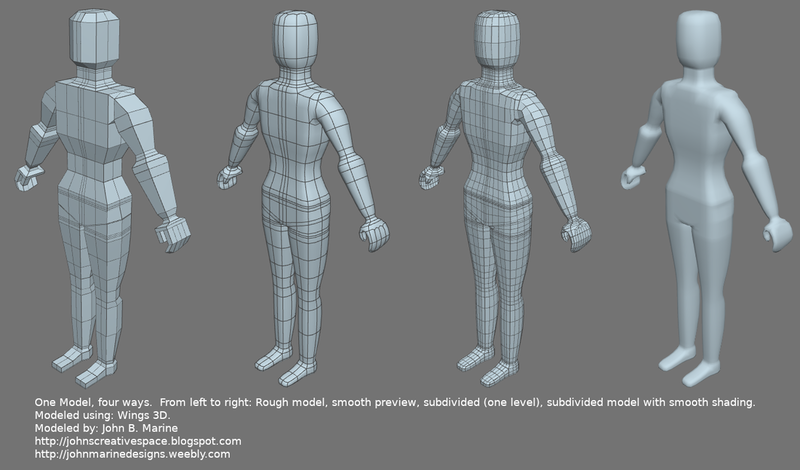 • The far right image is the subdivided model with smooth shading applied. One fact about this model is that I actually had to re-do it because I had some problems with trying to remove some of the model's geometry to clean it up. I have not mastered making proper dimensions and features to make this human model more believable. I still have a lot to learn in trying to make a realistic head. But again- I didn't care about perfect human proportions making this human model. As you can tell, I have had a long road to try to make 3D models. While I am still learning and still practicing my skills, I feel I can only get better as a 3D modeler. 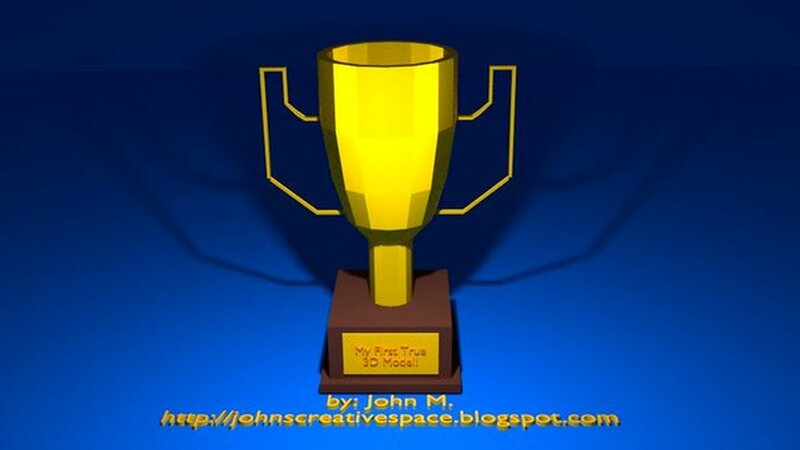 I'd like to thank you for visiting my portfolio of 3D models. Did you know I am offering some of these models for download and/or sale? If you want to see my material I am offering, I introduce you to them in the 3D Model section of my store. Click if you are interested.